The salon has been having fun playing with our newest line of fashion colors and we are in love!! Pulp Riot has a extensive line of fashion colors, its amazing to work with and you will love the results! Here are some facts about Pulp Riot. Pulp Riot lasts longer. Why? Because we use superior quality dyes. When formulating color, there are thousands of choices of dyes, and we did not skimp or cut corners, whatsoever. Generally, for most people, the deeper tones can last up to 42 washes, and the lighter tones up to 25 washes until the color is fully out. With Pulp Riot, the color fades true to tone. Note, with all color lines, there are a variety of factors that can influence how quickly hair color fades, including: the porosity of the hair, what level the hair is, exposure to sun, the shampoo and conditioner you use, how often you wash your hair, the type of water used, if certain medications are used, environmental elements, genetics, etc. For maximum hair color longevity, we recommend that you shampoo and condition with sulfate-free and sodium chloride free products and rinse using tepid water up to 3 times a week, or use a dry shampoo. To make the color last longer, when cleansing we recommend shampooing the root area, but not let the shampoo sit on the rest of the hair for any lengthy period. Exposing the hair to well water, chlorinated water, or salt water may compromise the hair color. IS PULP RIOT COLOR VEGAN? DOES PULP RIOT CONTAIN AMMONIA OR PARABENS? No, it’s free of ammonia, parabens, PPD and MEA. . The line currently has 20 shades including their neon and pastel lines. They can be mixed and matched to make even more custom shades. Are you looking to try something new and fun?We would love to create a one of a kind look for you with our Pulp Riot line. Need an appointment? Call the salon at 724-349-5444 or schedule online at www.cameronsalon.com. When scheduling online, make sure to chose Technique Color and to mention in the notes section what colors you have in mind. We do not always have every color on hand, so if you are after specific ones, please let us know so we can order them and try to have them here in the salon. When calling to schedule please let the receptionist know what you have in mind and what your current hair looks like so we can schedule accordingly. Today’s Stylist Spotlight is on our very talented receptionist turned full time stylist- Kayla Waltemire (soon to be Kayla Adair in just a few weeks). Kayla has been in the industry for 1 year. 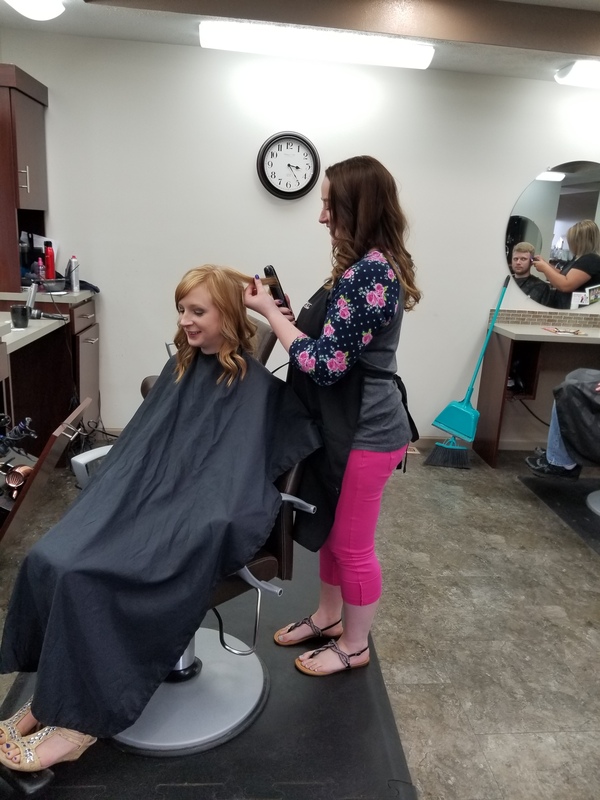 She has worked in our salon for 3 years as our receptionist and then decided to attend cosmetology school to be able to join our team of stylists. Kayla graduated from the Indiana Cosmetology Academy. She has attended 2 hair shows and has taken various other continuing ed. class including a OPI nail class and a Matrix color class. 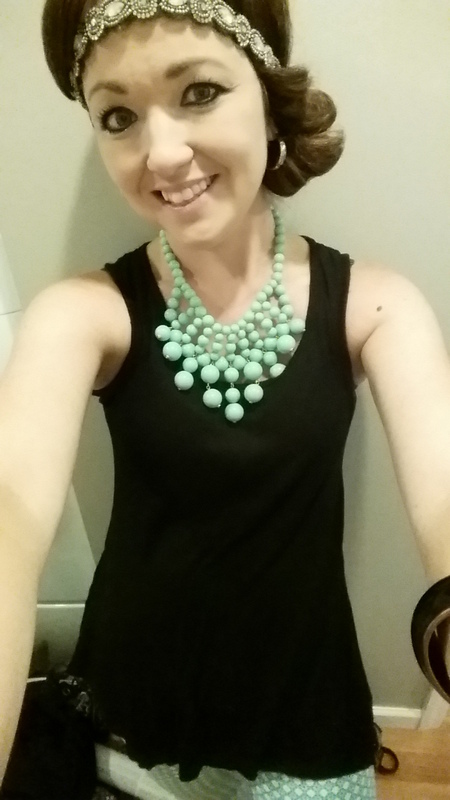 Kayla specializes in spray tanning, nail art and specialty updo styling. She said her favorite part about the beauty industry is learning new techniques and making people feel beautiful in and out of the salon. On top growing a clientel as a new stylist at the salon, Kayla has been busy planning a wedding for this coming October. 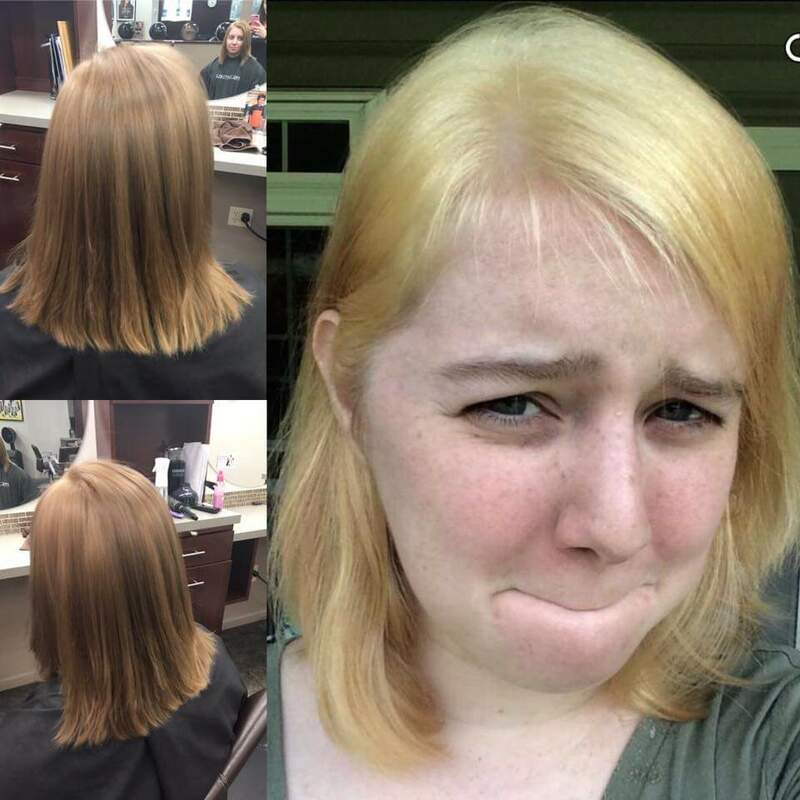 Here are some photos of some if the work Kayla has done as a stylist at our salon. Today is our last post in the Stylist Spotlight series we’ve been doing these last few weeks, and it’s about yours truly, your salon blogger! I Love a good makeover!! So much fun! Hope you’ve enjoyed getting to know our talented staff a little better through these Spotlights the last few weeks. Is there something you would love to know about our staff or salon?? Have an idea for future blog segments?? Feel Free to share or comment- we’d love to hear from you!